Hi friends! 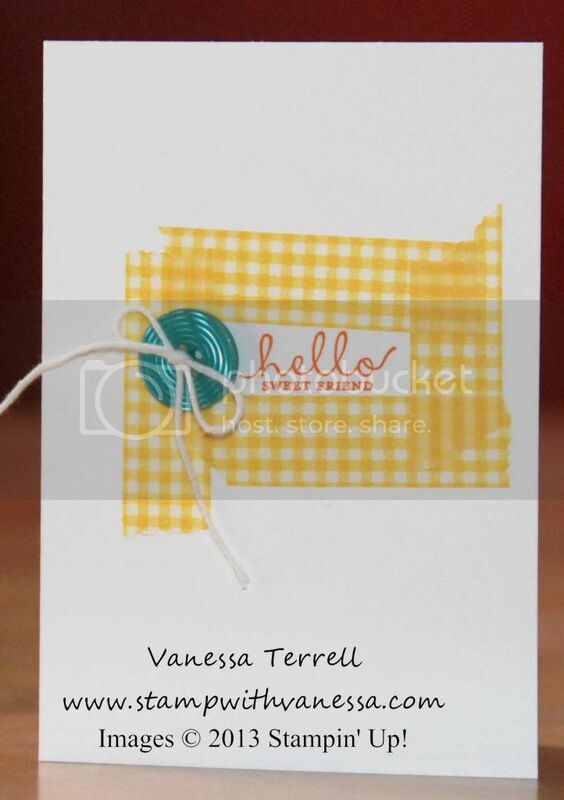 Today I'm sharing with you a fun note card I created using the Six Sided Sampler stamp set and some Washi Tape. I found the idea from the What to Washi Online Class. I purchased this class and it has some great ideas for using Washi Tape! So I couldn't resist making one of the cards from the class. I'm sure I will get around to some of the other projects...but I made a card with the supplies I had on hand! Here's my finished note card.